The many residents of the three towers of Sorgenfrivang II near Copenhagen, Denmark, already have a stunning view of Lyngby Lake and other scenic areas. And when the current extensive renovation is done, they will have even more for the eye to enjoy. 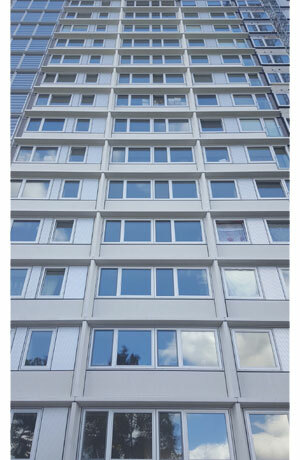 Besides the internal renovation, the towers get totally renovated facades, primarily of GFRC. The three towers of each 15 stories will be cladded with a total of 19.000 square meters of GFRC, 12.800 elements in 150 variants. The architects have chosen GFRC for various reasons. First and foremost, it is due to the formability of GFRC, which makes it possible to preserve the original architecture with columns and beams. 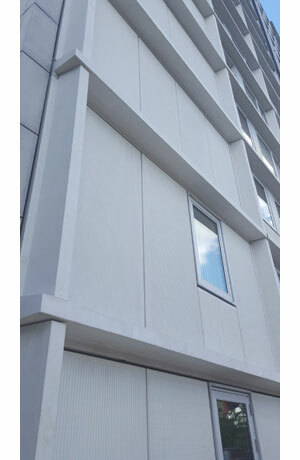 Secondly, it is due to the elimination of thermal-bridges made possible by using GFRC, which in turn helps to achieve a more sustainable building and DGNB certification. The elements from BB fiberbeton A/S in itself also contribute to the DGNB certification as very little energy is used in the production. 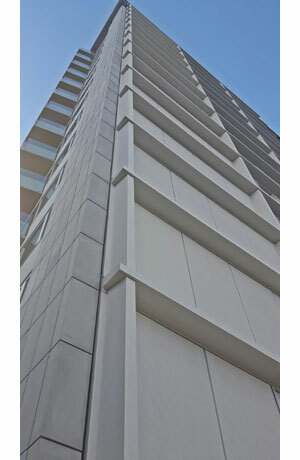 Further, the elements are extremely durable and technical maintenance is not necessary. Compared too other materials GFRC has many advantages. It is very strong, and it does not dent, make noise, rot nor burn. 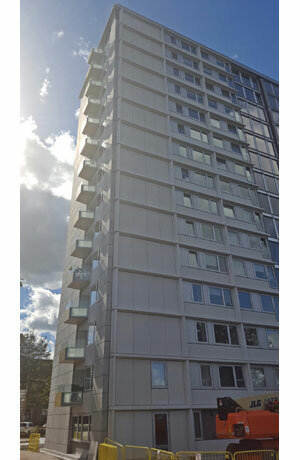 The elements used at Sorgenfrivang II are 12 mm in thickness, and are, when they arrive on-site, bearing mounting solutions tailored to the project. 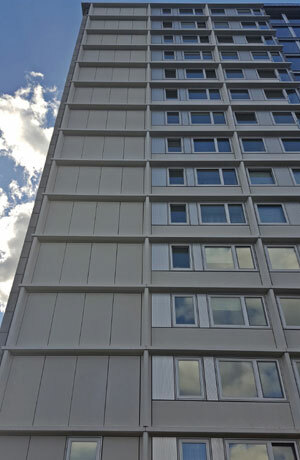 On this particular project, a combination of FA1000®-system, stud-frames and embedded steel brackets are used. All solutions ensure hidden mounting. 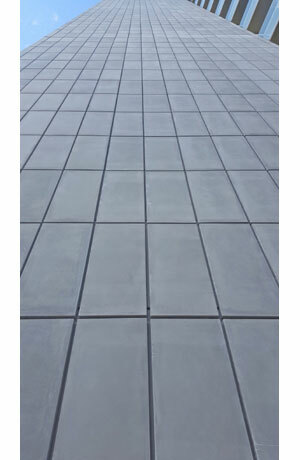 The elements from BB fiberbeton A/S are produced to the geometric architectural require-ments and on measure. Thereby no adaption is needed on-site, and together with the build-in mounting solutions installation is quick and effective. Experience with mounting solutions and larger projects, has been essential in creating and casting the elements, as both geometry and mounting solutions are complex. Key to project success has been early extensive design collaboration between BB fiberbeton A/S, the architect and the entrepreneur.